Otterbein SeniorLife Neighborhoods are small communities that provide skilled nursing and rehabilitation services to elders in a home-like setting. At each of these nine locations throughout Ohio, professional staff can treat residents using expert knowledge and advanced medical technology. With COPD being one of the highest leading causes of death in the United States, it’s critical for people with this and related conditions to get the help they need. That’s why you’ll find a team of staff members experienced in respiratory care, along with advanced medical equipment, all housed in our nine SeniorLife Neighborhoods. Asthma, emphysema, bronchitis, and other COPD conditions are all treated and evaluated regularly. The therapy we provide can also benefit people with lung cancer or lung damage due to a heart attack, trauma, or congestive heart failure. Respiratory care assessments, evaluations, and personalized care plans. Oxygen and oxygen titration therapy. Breathing treatments and maintenance inhalers. Dementia is a general term for a decline in mental ability that’s severe enough to interfere with daily life. Various diseases fall under this category, with Alzheimer’s disease being the most common. Memory loss affects everyone differently. At Otterbein, we value each person as an individual and recognize their specific needs to provide a personalized memory care plan. As new medical information and care innovations evolve, so does our program. 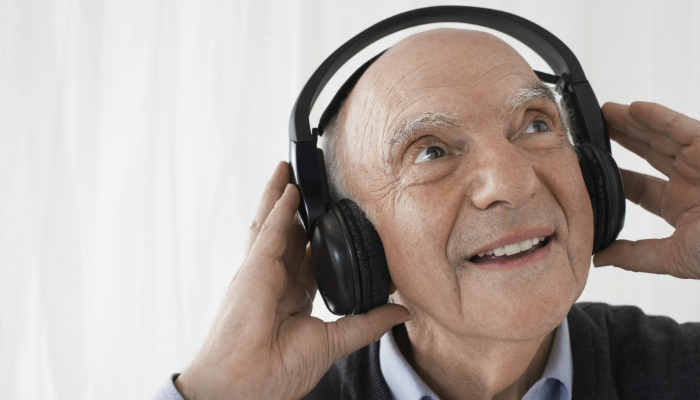 As an innovative approach to dementia therapy, we offer the Music & Memory℠ program for residents. Our elders receive MP3 players and personalized playlists based on input from their families. Their music favorites tap deep memories not lost to dementia and can help bring participants back to themselves, helping them to converse, socialize, and stay present. Three major Ohio health providers - OhioHealth, The Ohio State University Medical Center, and Mt. Carmel - name Otterbein SeniorLife Neighborhoods as a preferred partner. And our low rehospitalization rate means elders who come to live with us are not likely to return to the hospital for the same reason. Does an Otterbein SeniorLife Neighborhood sound like it could be a good fit for your loved one? Download our free guide today to see the differences between traditional nursing homes and a SeniorLife Neighborhood.